You are currently browsing the tag archive for the ‘Data Model’ tag. Someone notified me that not everyone subscribed to my blog necessary will read my posts on LinkedIn. Therefore I will repost the upcoming weeks some of my more business oriented posts from LinkedIn here too. This post was from July 3rd and an introduction to all the methodology post I am currently publishing. What makes it so hard to implement PLM in a correct manner and why is this often a mission impossible? I have been asking myself this question the past ten years again and again. For sure a lot has to do with the culture and legacy every organization has. Imagine if a company could start from scratch with PLM. How would they implement PLM nowadays? My conclusion for both situations is that it all leads to a correct (PLM) data model, allowing companies to store their data in an object-oriented manner. In this way reflecting the behavior the information objects have and the way they mature through their information lifecycle. 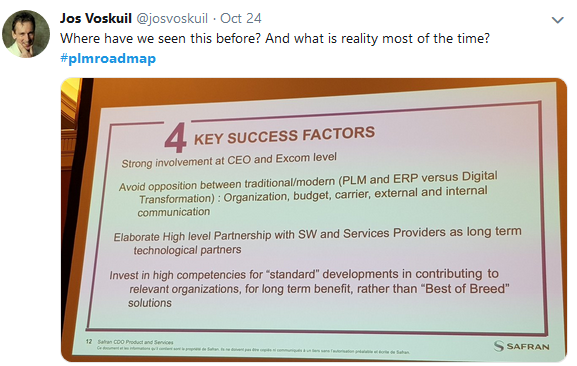 If you making compromises here, it has an effect on your implementation, the way processes are supported out-of-the-box by a PLM system or how information can be shared with other enterprise systems, in particular, ERP. 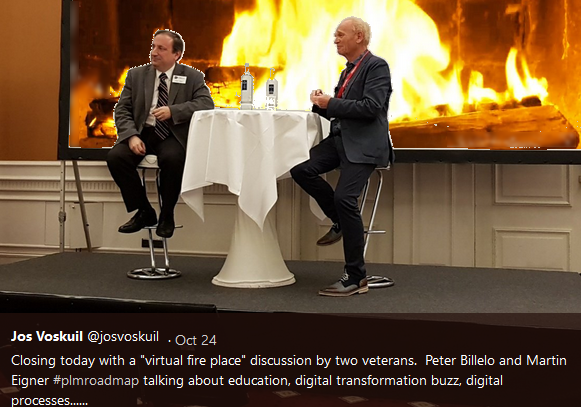 PLM is written between parenthesis as I believe in the future we do not talk PLM or ERP separate anymore – we will talk business. Let me illustrate this academic statement. 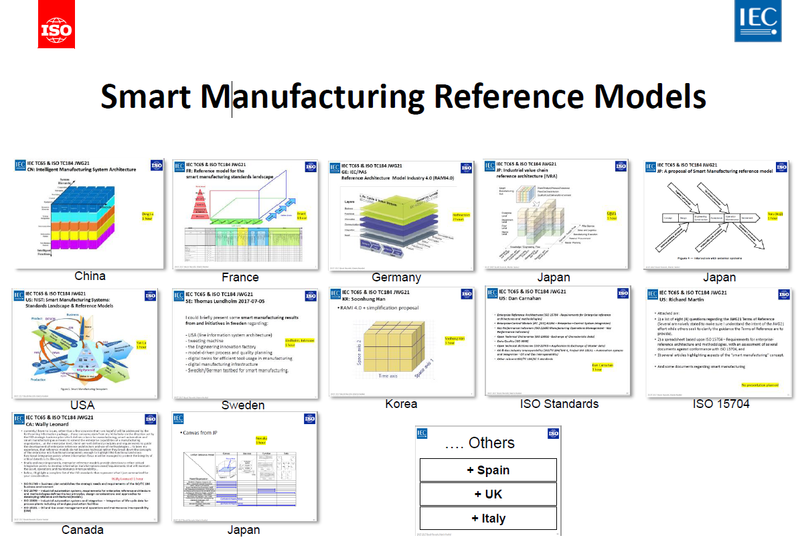 When I worked with SmarTeam in the nineties, the system was designed more as a PDM system than a PLM system. The principal objects were Projects, Documents, and Items. The Documents had a sub-grouping in Office documents and CAD documents. 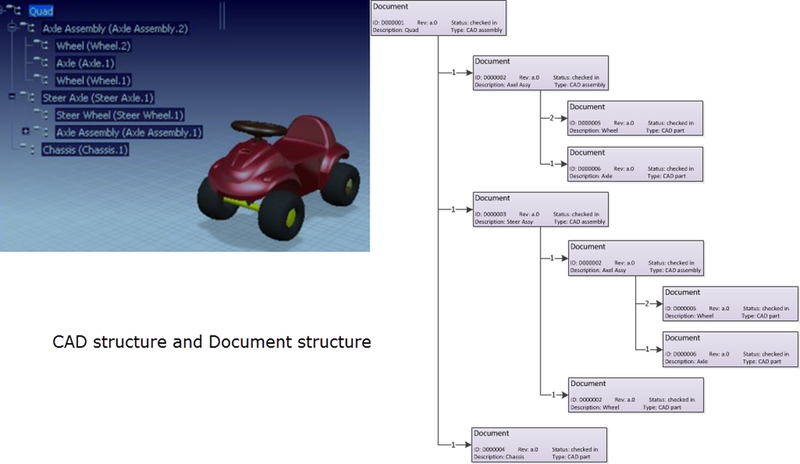 And the system had a single lifecycle which was very basic and designed for documents. Thanks to the flexibility of the system you could quickly implement a satisfactory environment for the engineering department. Problems (and customizations) came when you wanted to connect the data to the other departments in the company. The sales and marketing department defines and sells products. Products were not part of the initial data model, so people misused the Project object for that. To connect to manufacturing a BOM (Bill of Material) was needed. 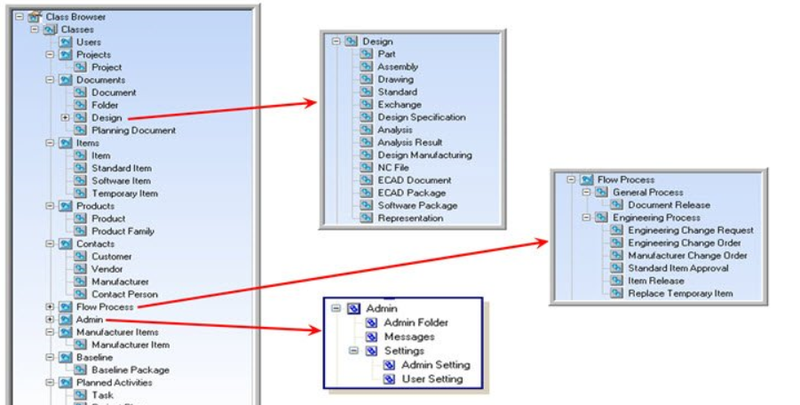 As the connected 3D CAD system generated a structure while saving the assemblies, people start to consider this structure as the EBOM. This might work if your projects are mechanical only. However, a Document is not the same as a Part. A Document has a complete different behavior as a Part. Documents have continuous iterations, with a check-in/checkout mechanism, where the Part definition remains unchanged and gets meanwhile a higher maturity. 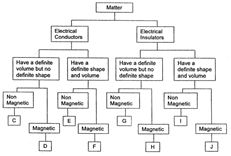 The correct approach is to have the EBOM Part structure, where Part connect to the Documents. 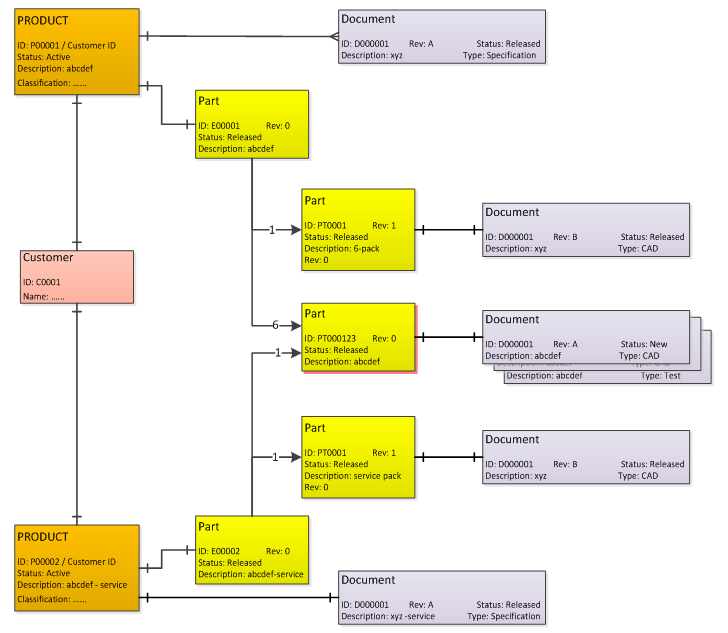 And yes, Documents can also have a structure, but it is not a BOM. 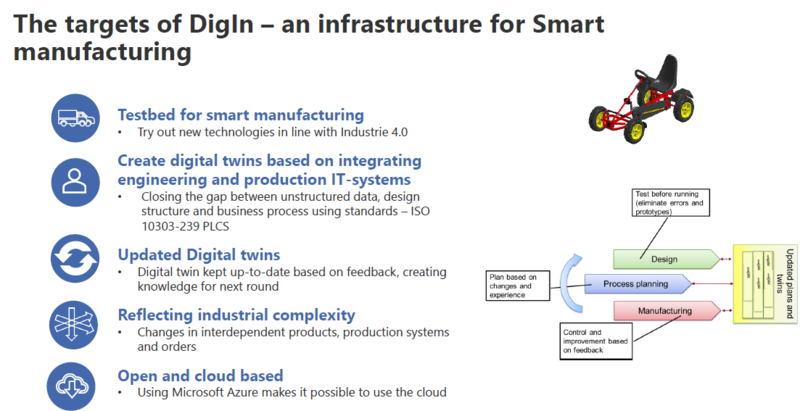 SmarTeam implemented this around 2004. Meanwhile, a lot of companies had implemented their custom solution for EBOM by customization not matching this approach. This created a first level of legacy. When SmarTeam implemented Part behavior, it became possible to create a multidisciplinary EBOM, and the next logical step was, of course, to connect the data to the ERP system. At that time, most implementations have been pushing the EBOM to the ERP system and let it live there further. 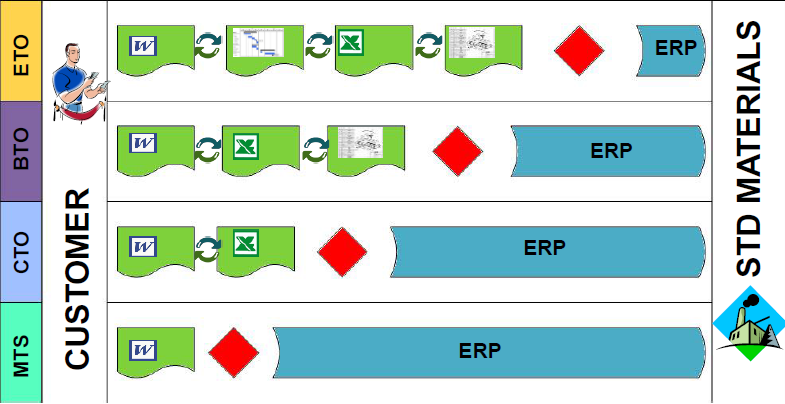 ERP was the enterprise tool, SmarTeam the engineering tool. The information became disconnected in an IT-manner. Applying changes and defining a manufacturing BOM was done manually in the ERP system and could be done by (experienced) people that do not make mistakes. Next challenge comes when you want to automate the connection to ERP. In that case, it became apparent that the EBOM and MBOM should reside in the same system. (See old and still actual post with comments here: Where is the MBOM) In one system to manage changes and to be able to implement these changes quickly without too much human intervention. 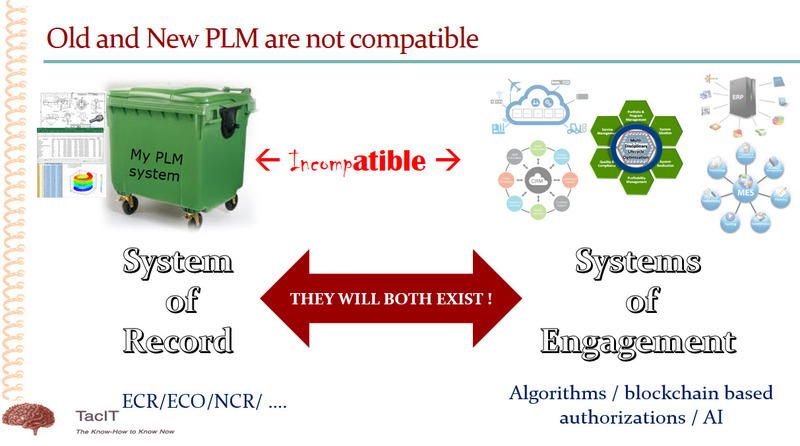 And as the EBOM is usually created in the PLM system, the (commercial/emotional) PLM-ERP battle started. 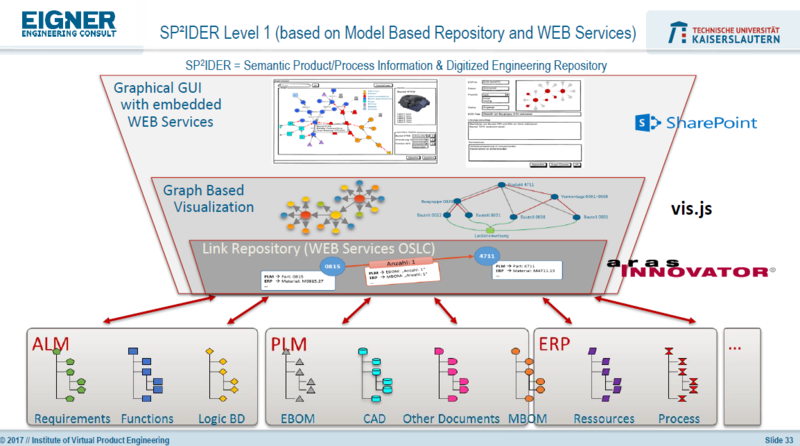 “Who owns the part definition”, “Who owns the MBOM definition” became the topic of many PLM implementations. 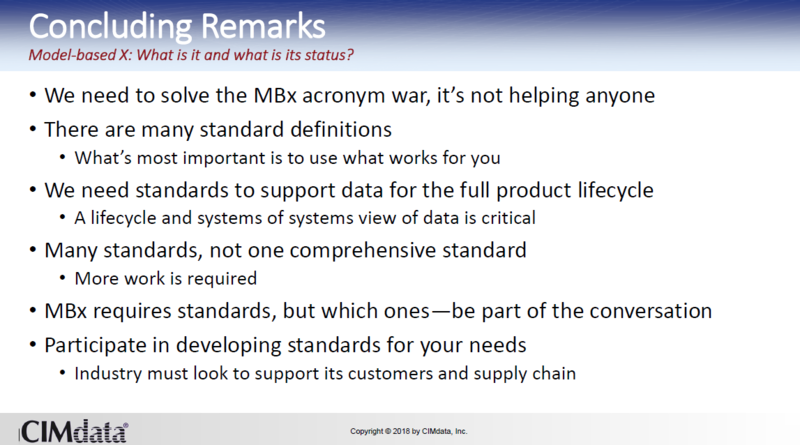 The real questions should be: “Who is responsible for which attributes of the Part ?” and “Who is responsible for which part of the MBOM definition ?” as data should be shared not owned. The SmarTeam evolution shows how a changing scope and an incomplete/incorrect data model leads to costly rework when aligning to the mainstream. And this is happening with many implementation and other PLM systems. 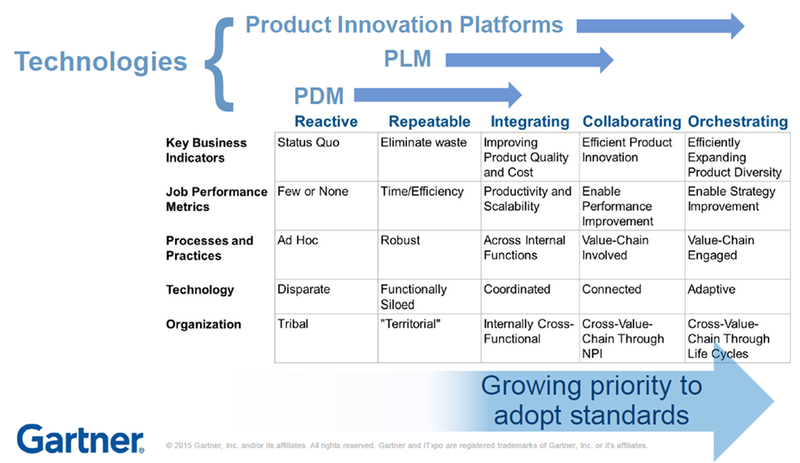 In particular when the path is to grow from PDM to PLM. An important question remains what is going to be mainstream in the future. More on that in my conclusion. 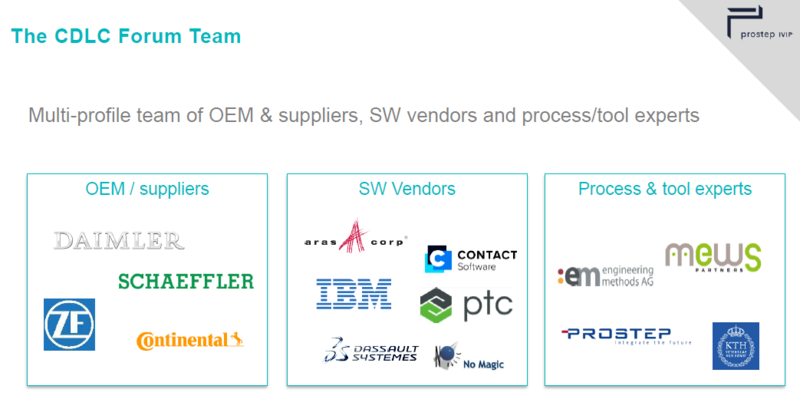 In the recent years, I have been involved in several PLM discussions with large enterprises. These enterprises suffer from their legacy. Often the original data management was not defined in an object-oriented manner, and the implementation has been expanding with connected and disconnected systems like a big spaghetti bowl. “Don’t touch the systems it as it works for us”. The challenge these companies have is that it extremely hard to imagine the potential to-be situation and how it is affected by the legacy. 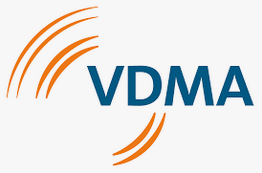 In a project that I participated several years ago the company was migrating from a mainframe database towards a standard object-oriented (PLM) data model. The biggest pain was in mapping data towards the object-oriented data model. As the original mainframe database had all kind of tables with flags and mixed Part & Document data, it was almost impossible to make a 100 % conversion. The other challenge was that knowledge of the old system had vaporized. 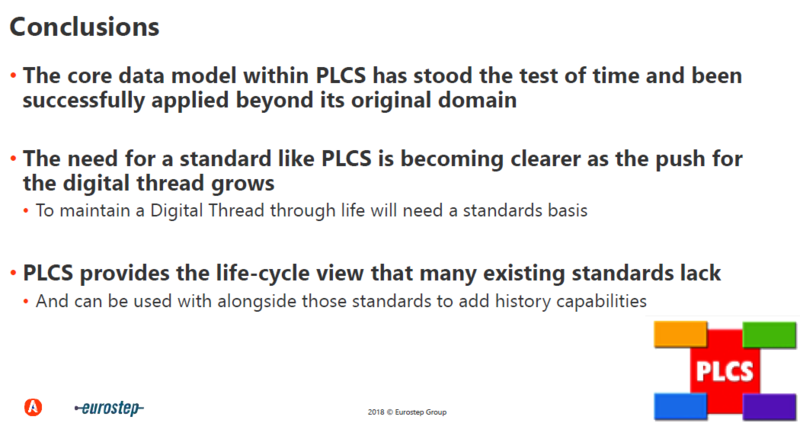 The result at the end was a customized PLM data model, closer to current reality, still containing legacy “tricks” to assure compatibility. All these enterprises at a particular time have to go through such a painful exercise. When is the best moment? When business is booming, nobody wants to slow-down. When business is in a lower gear, costs and investments are minimized to keep the old engine running efficiently. I believe the latter would be the best moment to invest in making the transition if you believe your business will still exist in 10 years from now. Back to the data model. Businesses should have today a high-level object-oriented data model, describing the main information objects and their behavior in your organization. The term Master Data Management is related to this. How many companies have the time and skills to implement a future-oriented data model? And the data model must stay flexible for the future. Compare it to your brain, which also stores information by its behavior and by learning the brain understands what it logically related. The internal data model gets enriched while we learn. 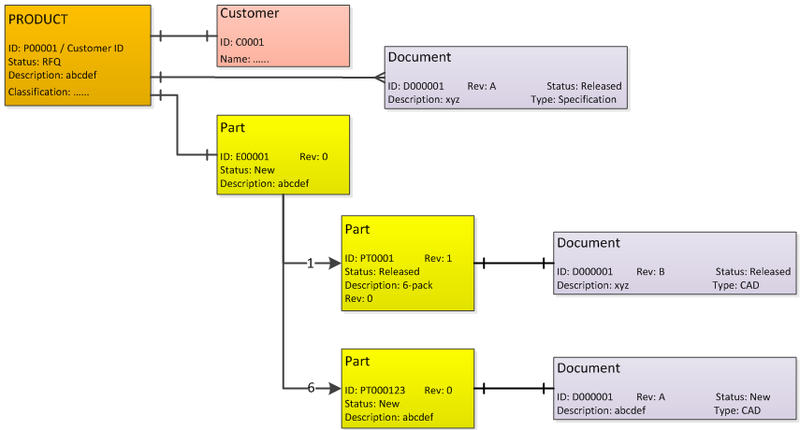 Once you have a business data model, you are able to implement processes on top of it. Processes can change over time, therefore, avoid hard-coding specific processes in your enterprise systems. 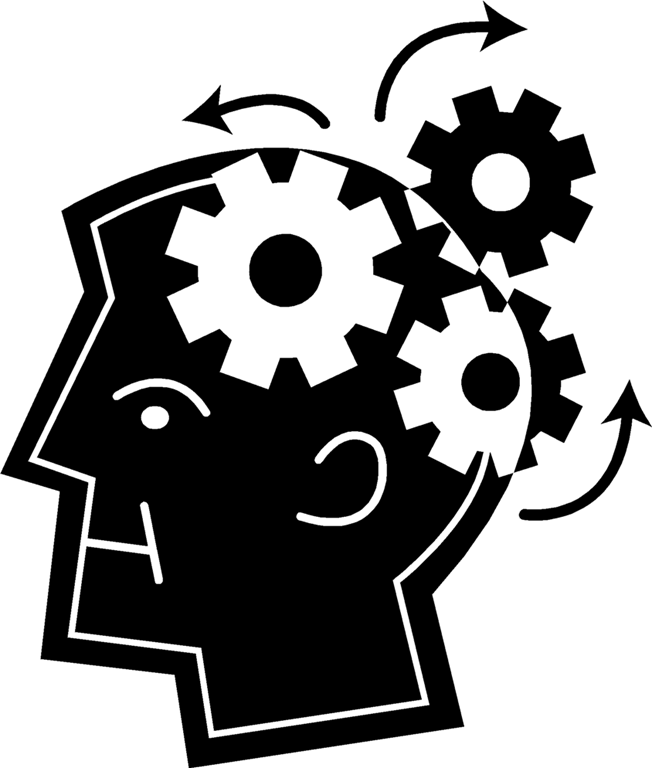 Like the brain, we can change our behavior (applying new processes) still it will be based on the data model stored inside our brain. A lot of enterprise PLM implementations are in a challenging situation due to legacy or incomplete understanding and availability of an enterprise data model. 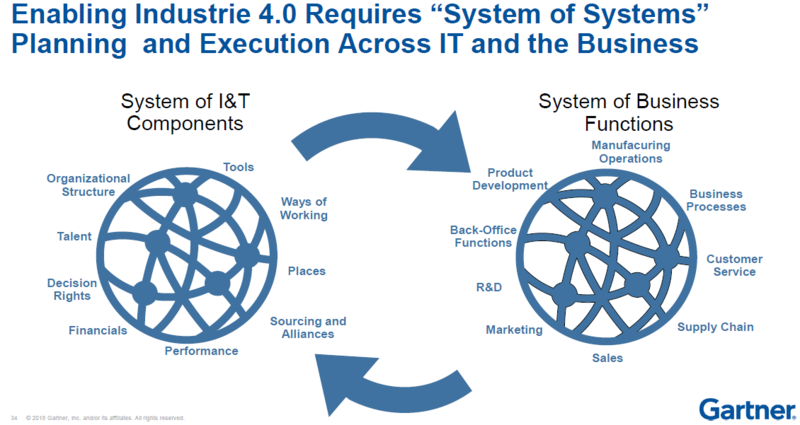 Therefore cross-department implementations and connecting others systems are considered as a battle between systems and their proprietary capabilities. The future will be based on business platforms and realizing this take years – imagine openness and usage of data standards. An interesting conference to attend in the near future for this purpose is the PDT2015 conference in Stockholm. 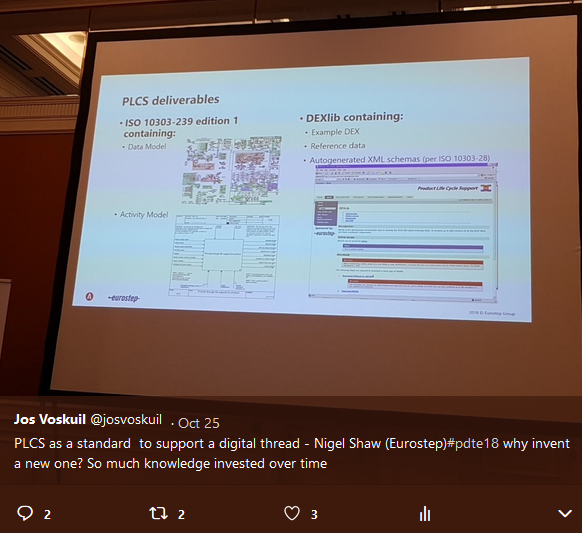 Meanwhile I also learned that a one-day Master Data Management workshop will be held before the PDT2015 conference starts on the 12th of October. A good opportunity to deep-dive for three days ! An explicit data model not based on system or tools capabilities, but on the type of business the company is performing. 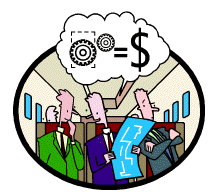 There is a difference in an engineering to order company, a built to order company or a configure to order company. 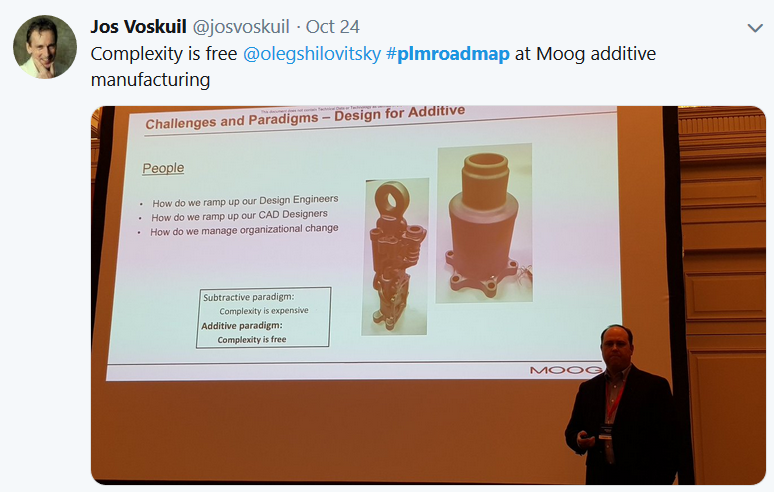 Historically PLM implementations started with capturing the CAD data and related EBOM as this is what the CAD-related PLM vendors were pushing for and this was often for the engineering department the biggest pain. 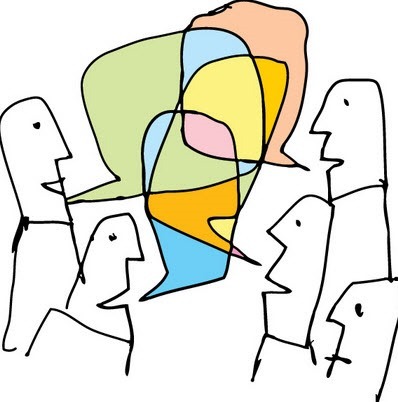 The disadvantage of this approach is that it strengthens the silo-thinking process. 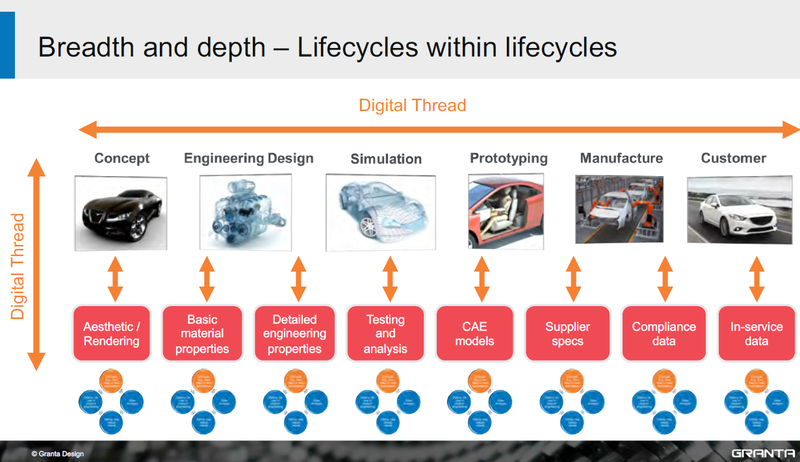 The PLM system becomes an engineering tool instead of an enterprise system. 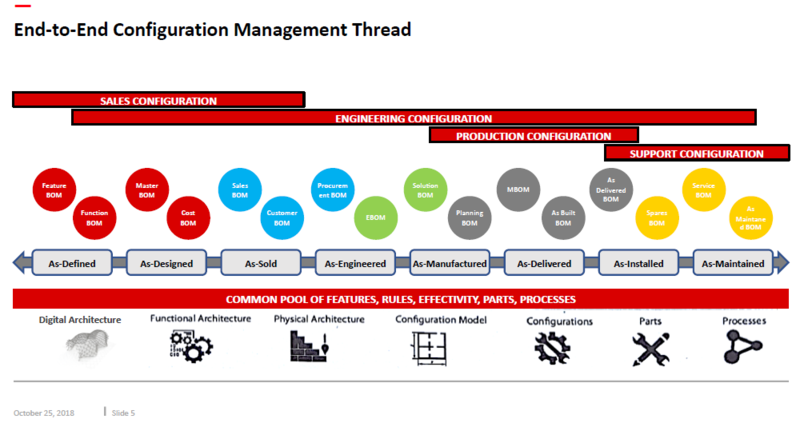 I believe if you really want to be able to implement PLM successful in a company, start from a common product/part information backbone. 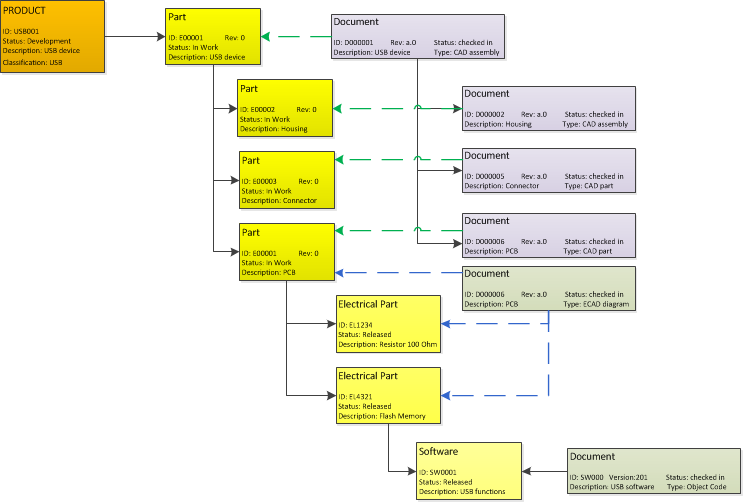 This requires the right business objects and, therefore, the right data modeling. The methodology described below is valid for build to order and configure to order companies, less applicable for engineering to order. Let´s follow an End to End scenario from a typical Build to Order company process. In general Products do not have revisions. In time, there might be other BOMs related to the product. Not in this post, products might have versions and variants. And products might be part of a product family. In this case, I used a classification to define a classification code for the product, allowing the company to discover similar products from different customers done. This to promote reuse of solutions and reuse of lessons learned. 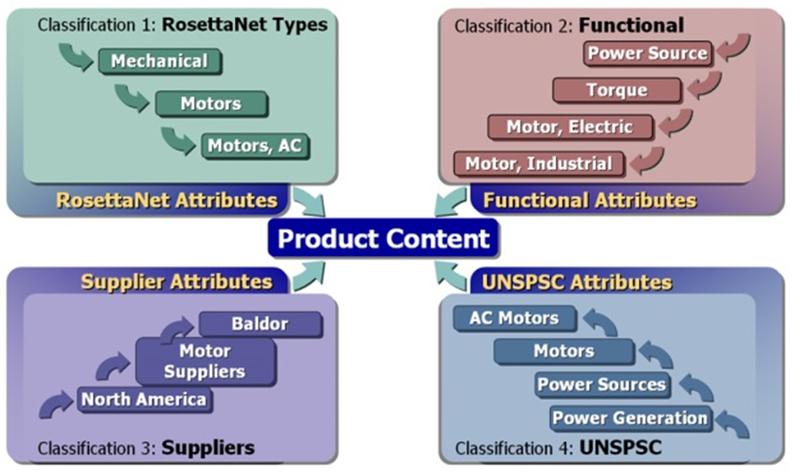 The initial conceptual BOM for the customer consists of two sub-BOMs. As the customer wants the products to be delivered in a 6-pack, a standard 6-pack EBOM is used. Note: the Status is Released and a new conceptual EBOM is defined as a placeholder for the BOM definition of the Product to design/deliver. Parts can have a revision in case the company wants to trace the evolution of a Part. Usually when Form-Fit-Function remains the same, we speak about a revision. Otherwise, the change will be a new part number. As more and more the managed information is no longer existing on the part number, companies might want to use a new part number at any change, storing in an attribute what its predecessor was. 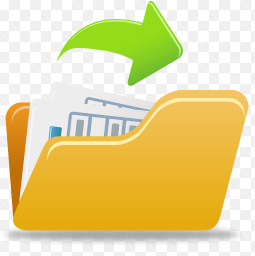 Documents have versions and revisions. While people work on a document, every check-in / check-out moment can create a new version of the file(s), providing tractability between versions. Most of the time at the end there will be a first released version, which is related to the part specified. Do not try to have the same ID and Revision for Parts and Documents. In the good old days of 2D drawings this worked, in the world of 3D CAD this is not sustainable. It leads to complexity for the user. Preferably the Part and the specifying Document should have different IDs and a different revision mechanism. The Part in the middle has now a large set of related documentation. Not only CAD data but also test information (how to test the product), compliance information and more. The Part in the middle on its own also has a deeper EBOM structure which we will explore in an upcoming post. I reached my 1000 words and do not want to write a book. So I will conclude this post. 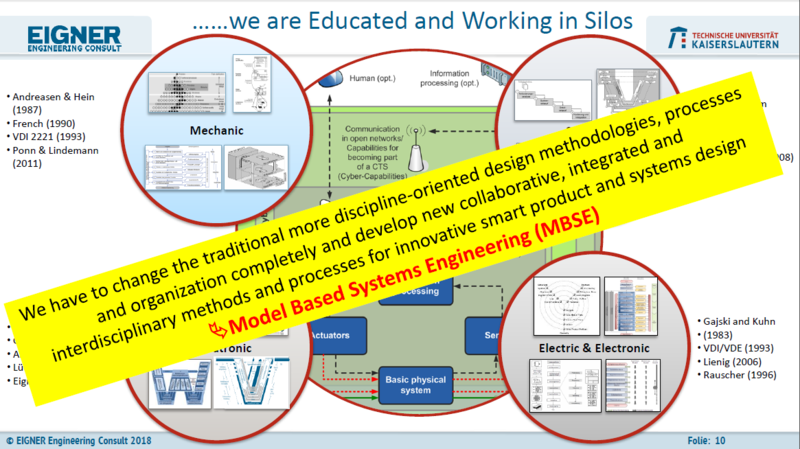 For experienced PLM implementers probably known information. 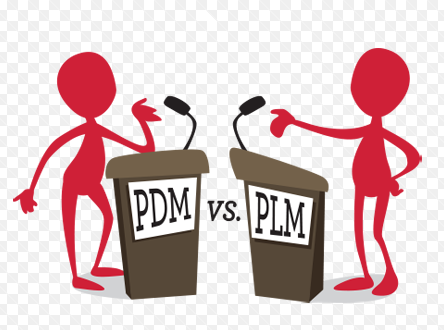 For people entering the domain of PLM, either as a new student or coming from a more CAD/PDM background an interesting topic to follow. In the next post, I will continue towards the MBOM and ERP.